This is a Ding-n-Dent product. 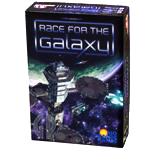 The game is still wrapped in plastic, but the box is imperfect, and shows some slight wear, crease, or tear. The components are intact. There are no returns for this product. Drake says: "This is the 5th addition to the game of Dominion. 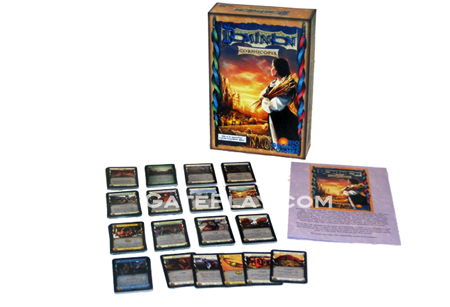 It adds 13 new Kingdom cards to Dominion, plus 5 unique cards. The central theme is variety; there are cards that reward you for having a variety of cards in your deck, in your hand, and in play, as well cards that help you get that variety." 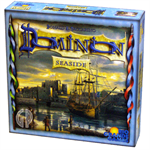 John says: "Another exciting Dominion expansion full of new cards including Prizes. A must have for Dominion fans!" Autumn. It seemed like the summer would never end, but that fortune teller was right. It's over. Autumn, the time of the harvest. Agriculture has advanced significantly in recent years, ever since the discovery of the maxim, "leaves of three, let it be." Autumn, a time of celebration. The peasants have spent a hard week scything hay in the fields, but tonight the festivities begin, starting with a sumptuous banquet of roast hay. Then, the annual nose-stealing competition. Then you have two jesters, one who always lies, one who always tells the truth, both hilariously. Then, they fight to the death! This celebration will truly have something for everyone. 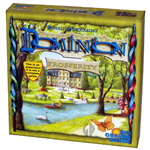 Check out "Dominion: Cornucopia" on BoardGameGeek.com!